Bring juice and salt to a boil in a sauce pan. Add cous cous, cover and turn off the flame. Let sit for 5 minutes to steam. Fluff to cool. Place in a 9" pie plate. Moisten your fingers slightly with cold water and press the couscous firmly down in a pie plate to form a crust. It is now ready to fill with your favorite cooked pie filling or see Eden's Cherry Pie Filling, Eggless Pumpkin Pie Filling or Vegetarian Mincemeat (No Meat) Pie recipes. Make sure that the filling has cooled before placing in the crust, as hot filling will cause the couscous to expand and fall apart. 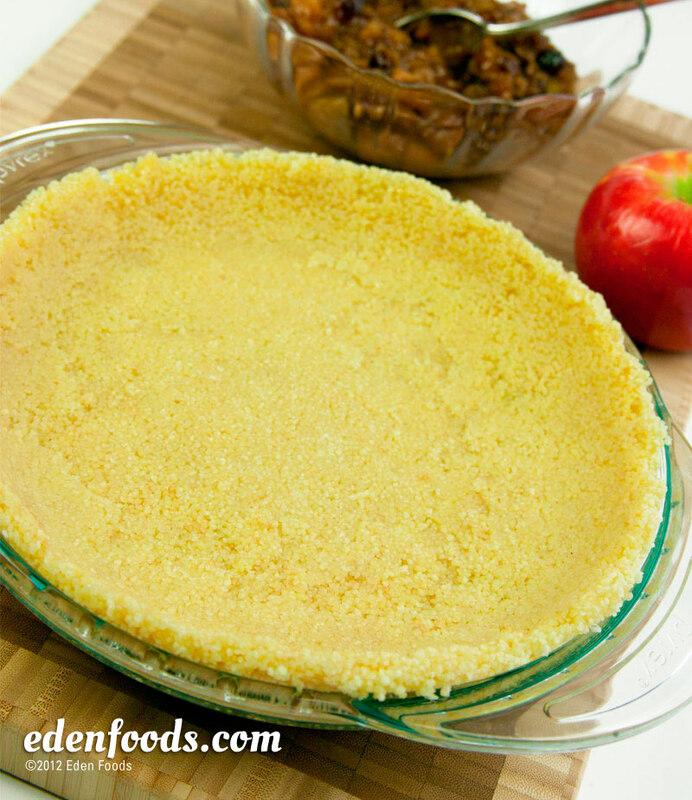 Couscous pie is delicious when served chilled to allow the couscous to firm up.